SchoolAuction.net is a web-based software to help school auction teams plan, manage and run school fundraising auctions. "First Time User - Great Product"
The Customer Service was fantastic. The entire School Auction Team was great to work with and very helpful. The built in help reference section was also invaluable. It was easy to find the information we needed and easy to understand the instructions. The import integration between School Auction and Etapestry was tricky to use. While it does work it became easier to manually import the majority of transactions. I was hoping for a smoother process. That said, I am not sure any other product out there wouldn't have the same draw back. It's a user-friendly system, and they made it even more intuitive by adding tooltips that describe each functionality. Also, the amount of direct support we get is phenomenal. The first time setting up the system can be time consuming, getting familiar with all the features and customizing it to your event. But as we've attested to, in subsequent years it gets easier. You are more attuned to the systems potential, and also you can migrate over as much or as little of your previous year's data as you need, then customize it to suit the venue. The level of support with this product is unparalleled. You always get an answer, and they help walk you through every step. The auction site allows us to reach beyond our normal client base. And it's very easy for a first time user to figure out how to bid. Also, the customization is a nice benefit. "First time live auction user"
I loved the local connection, the ease of use and setup, the ability to generate letters directly, and the ability to take and hold credit cards for easy checkout. It was a really nice software to use for our first live auction experience. I wish I could have exported data using a .csv or other file to set it up for ease of entry into our other databases rather than having to enter by hand. It would have been nice if they used one of our other payment processes but overall, we were happy with the built in and the rates were reasonable. It's an awesome system for small to medium nonprofits looking to efficiently scale up into more efficient event management. It's a very easy system to learn and use, with a quick learning curve for volunteers and staff members. Also really excellent for offices which have divergent levels of technological comfort. We needed to be able to process credit cards and be able to store them at check in. The ability to check people in and track attendance was also highly helpful. We were moving from a paper-based system to a computer based system and SchoolAuction.net helped us to bridge the gap with a user friendly software allowing our small staff to run a large event. "Intuitive and lots of support"
Good help info and videos as well as quick response from customer support. I haven't had any real troubles yet. My challenges have more to do with my own time constraints and being a one-person development shop. The customization of the site as far as graphic design is a bit challenging for me. SchoolAuction.net makes it easy for a first time auction administrator to get started and build the necessary structure for the event. The flow chart is helpful as are the help articles and videos. There are many standard reports that support detailed analysis of your event. Mobile bidding is a nice addition. The option to self-check is useful in reducing lines on event night. We are a small, private school that uses SchoolAuction.net for our fundraising dinner as well as our annual gala/auction. I appreciate being able to process payments, track guests, and accurately track the performance of each revenue stream at the auction. I'm new in my position this year and being able to thoroughly and accurately review what happened last year is crucial to planning and performance this year. "The great and not so great of using SchoolAuction.net"
Our school has a Gala auction with paper sheets for bidding. Given our demographics we are not likely to move to a full online or mobile only auction. So, being able to print all our bid sheets, certificates and descriptions is fantastic. We also love having the catalog available online after the live event. This has definitely increased our revenue as people continue to purchase items after the live event has ended. We also love the mobile/online payment option. 80+% of people have paid for their winnings within one day of the auction closing! Not having to chase people down for payment has been great. The biggest money makers at our party are parties and experiences. These are great since we are able to host multiple people for a party and collect from all of them as opposed to one winning bidder. SchoolAuction.net is okay at allowing for multiple sign ups and multiple winners. But it has no means of following up with winners. We have to manually track all the parties, participans and send out reminders which is a lot of work. It would be nice to be able to use the data that is already there in the software to do all of our party follow ups. Also, we create a print catalog and while we are able to export all the catalog entries, we still have to spend a great deal of time reformatting the entries so that the catalog looks decent. This is a very good product and a great value for the price. We have definitely recouped the cost and more from how much more we were able to offer and raise during the auction. I would take advantage of the trial and see if it fits the style of auction you are hosting. Business problems solved - since we are a PTA and all volunteer, the software has been great in helping reduce the amount of volunteer labor needed to run the auction. The biggest benefit is recovering 80% or or more of our payments online and rapidly. "Signing on with SchoolAuction was a win for our school!" SchoolAuction has a user friendly interface for both the event creators and the event attendees. We saved an enormous amount of time this year and it was a relief to not train volunteers on cumbersome software. We also did not need to hire a back office team to run the event! Our team was able to use SchoolAuction efficiently ourselves and it allowed everyone to enjoy the event that we worked so hard to produce. A few more post-auction specific reports might be useful. Otherwise, it was really great. It was a huge bonus to our school. Highly recommend it! We needed fewer volunteers and required less time spent on learning software. It was a huge benefit in a small school that has fewer families to pull from for volunteer opportunities. "Successful Auctions Thanks to SchoolAuction.net"
SchoolAuction.net delivered a reliable, customizable, mobile-friendly platform & end user interface. It was easy to setup with the ability to bring over past donors and payment gateway information from past events, provided excellent support, reliable performance, helpful reports and the ability to easily contact winning bidders with a follow-up email. SchoolAuction.net gave us the ability to affordably run online auctions and a live auction over the past 3 years that were each profitable events. It enables us to continue hosting auction fundraisers that focus on promoting our local merchants with no distracting third-party ads. Excellent support! SchoolAuction.net gave us the ability to affordably run online auctions and a live auction over the past 3 years that were each profitable events. It enables us to continue hosting auction fundraisers that focus on promoting our local merchants with no distracting third-party ads. "Schoolauction.net is a wonderful system with great support"
The pre-event support was wonderful, I had a great phone call with one of the owners and the tech support was always quick to respond. And the website itself was very easy to use! Setting up the credit card gateway was by far the most difficult aspect of it. This was not the fault of Schoolauction.net, but it was due to the complexity of the CC systems. Use the test system alot, really get familiar with it as this prepares you for anything that comes up the night of the event. We saw immediate reports from our auction which was extremely beneficial. Also the self check out garnered several very positive reviews from our guests. "Easy to Use Cloud Based Auction Software"
Schoolauction.net has amazing support, is easy to use and works for up to 3 events per year. We use it to sell tickets for other smaller events throughout the year. I find the processes easy, and we captured a lot of donor data and information this past year as a result. Sometimes, it is difficult to find where to edit certain pages on the website we use to sell tickets and get donations. We are able to see multiple people using the software at once. With the other auction software we used in the past, it was difficult to use and could only be on one computer. "After 4 years and 27 events, I am a huge fan of SchoolAuction.net!" The software is very intuitive and easy to use. It includes all of the features that we could ever want and improvements continue to be made to make for the very best user experience. Also, it is important to our organization to be able to run multiple events sites at the same time and SchoolAuction.net does that. There are small things about the way the system works that could be improved such as each time you log in, you have to re-customize each page to show the fields that are most important to you. My initial research showed that this software is a very good value for the price. This software is the complete package for every aspect of putting on a silent auction. It has made us more professional and allowed us to be able to print a custom receipt at the end of the event for each attender. "SchoolAuction.net meets our Gala and Auction needs to the max." I've used SchoolAuction for a year now as a Development Manager for a school. We have a spring Gala and auction each year, so having a system that is easy to use, easy to train and smooth throughout the busy preparatory season and post-Gala season is super important. I am grateful for the wonderful support at SchoolAuction.net site. They are timely, friendly, helpful and honestly go beyond the call of duty in my opinion. I've found the whole system streamlined, whether it tickets, admin duties, donors, donations but the thing that I most appreciate about SchoolAuction is how easy the catalog was to produce and to show off to our families. The night-of tasks were also very easy to work with, as was the follow up after the event. I appreciated the extra attention I got during the event week as well. Honestly, I don't have any qualms at all. SchoolAuction helps us manage and organize and account for all the incoming monies associated with our largest school fundraiser of the year. Having a system where I can instantly click a button, and give our sponsors or ticket holders a ready answer, is huge. The benefits were huge, during the event week and following. It made all the follow-up duties streamlined and focused. 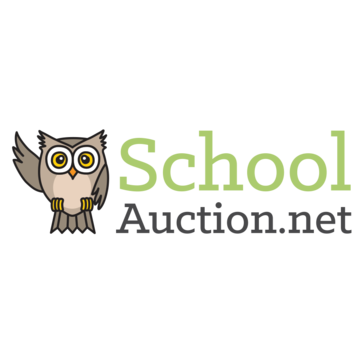 After using an overly complicated auction software for a couple of years, SchoolAuction.net was such a refreshing change for us last year! It's very volunteer-friendly, but powerful enough to do everything we needed. The event night portion was a breeze and I was able to train our volunteers in less than 10 minutes. I also loved that all the credit card processing was online so I didn't have to batch process the credit cards the next day. I look forward to using the software at our next event! I do wish that you could indicate on a donor record when a thank you and receipt has been sent. I have to keep track of that on a separate spreadsheet. I also wish there was a little more customization in the reporting and printed materials. We have loved our experience so far with SchoolAuction.net and definitely recommend it to other schools that host auctions. We host a silent & live auction at our gala every year. We have used other auction software in the past that was not user friendly and was too difficult to train volunteers. Schoolauction.net fills that need for us. It has all the features that we need and not a lot of extra stuff that we don't. Volunteers are comfortable using the system as well. The event night software is great! "Good software for school gala"
The categories, the reporting, the database creation, and the ability for users to put it all on their credit cards were wonderful features. The ability to print an invoice after the event that shows everything they spent money on and how much is tax deductible is great. I also was able to put our sponsor names on the invoices. I did not like the live display that showed the current bids for online bidding. We had a large number of items, so it had to scroll through the items to show current bid, so it took forever for guests to know what something was at if they wanted to know quickly. Otherwise, they had to go to each item individually on their device to see what it was at. I am hoping their is a hidden setting I'm unaware of to make this better for next time! Take the time for users to understand how to categorize each item they enter. Mistakes will affect the live view reporting during the event and wrap up at end. You can always fix after the fact, but it will affect totals. Also, have credit card swipers for registration. Having to manually enter into software at event will hold up registration line. Also, if doing live online bidding, check mark the box that allows guests to put in a max bid. It will automatically increase guests bids as they get outbid. We did not see this setting prior to event and feel like we left money on the table. However, it IS a feature of this software! We needed a way to collect money online, report it based on a variety of different variables, and invoice at the end. The database creation was so worth it for us. The first step to digital reporting for this school and it was amazing! "User Friendly, Event Organization Platform! : ) "
School Auction is a user friendly auction tool! Our organization has used School Auction for four years and counting! I really value the extra capacity the software brings to automate and centralize so many auction functions- from the online purchases to tickets to food choices- this is useful for our records and for our tracking. One feature I most appreciate is the data analysis that School Auction provides- its software provides easy to use charts to help detail how money is spent, and on which items. This easy to use data tracking helps us in our debrief of events. School Auction has been very effective! This isn't so much a dislike as observation - for the night of activity, the software is very intuitive. To get the best use of the software, it takes time for the lead staff or volunteer to become familiar. The early that someone takes time to learn and use the training videos, the better off you will be! Don't wait until the week or so before to crash course- Your volunteers are counting on you to do your best, and the more you know the software the more you can help. Our goal was to identify user friendly software to automate many of the key functions at our annual fundraiser. With School Auction, we've been able to build a consistent, useful pattern of activity, and can compare data easily year over year. On the Night Of, School Auction's team is available for any phone call support, and in the lead up to the event are super responsive for email. The tool is great to organize both ticket purchases and gala auction items, and a useful assist to track data. "A smooth, organized, and user-friendly experience!" The reports available following the conclusion of the auction provided valuable insight into spending trends that will help us make improvements to future events. The price of the program includes the option for online or mobile bidding, but this is not something my organization is unlikely to ever use. A fee scale with different features for varying prices would be beneficial for smaller organizations working with limited funds. Go for it!! You won't regret it at all. The program allows my team to coordinate our efforts from anywhere. Our previous auction software was cumbersome and not cloud-based, so this program allowed us to use technology to its full advantage to make improvements to the planning and implementation of our event. "Great system for our Auction and other Parish Events"
Support from SchoolAuction team is always timely and helpful. Online ticket sales, mobile bidding and online checkout has made using this system so easy and made our events much easier. I wish there was a mass item edit screen. When I evaluated various options many years ago, SchoolAuction came out on top. I'd recommend it highly. Used to use a different online bidding system vendor who came in with staff to manage event. We now can do it ourselves (after some training of bidder support volunteers) and save about $4K a year by doing it ourselves. "Great Product for school silent auctions"
Some ability to edit bids at the admin level for users who don't use computers well. Our elementary school has been using Schoolauction.net for a number of years. Each year they have improved the software to add more functionality. They have wonderful customer service. As this is my second year running our event I have a better idea on what we want and need. I researched other options this year and came back to schoolauction.net. The features they offer vs the competition are on point but the largest selling point for me was the flat price. As a PTA knowing what to budget and spend is essential to running my event and raising the most I can. Best part of using SchoolAuction.net was the ease and thoroughness of setup on the admin panel. The customization components were simple to find or edit. The customer service was also top notch. Very responsive and thorough. The worst part of using SchoolAuction.net was linking and unlinking bidders at check-in. Although the steps were clear to follow, it took valuable time at check-in. An easy fix for this would be disabling the linking bidder option during registration, but allowing guests to link AT the time of check-in. I did not use any of the table settings so I cannot comment there. But we used the mobile bidding software and it worked great. Needed a simple way to hold an auction for donors with ages ranging from 22-60. This was simple for all. We went from a dated off-line software package to SchoolAuction.net. Transition could not have been easier. The software interface is very clean and easy to navigate. Instead of passing excel files around to people and then entering data into our old software, everyone could do their part online from home. Training staff on software was extremely easy. The site also has very good documentation if you need help. We hooked the software into one of their partner credit card processors (they have many with very good fees as well). Again, everything was very straightforward. Day of the event: Check-In was a breeze. Bought some cheap credit card readers off of Amazon and "vaulted" patrons credit cards. Entering of final bids was again very easy. Check-out, which used to consist of extremely long lines, was basically eliminated with the mobile check-out feature. I really have nothing negative to say about this software or company. We honestly did not have any complaints about the software from our volunteers. The guests raved about how quickly we were able to get them in and out of check-in and check-out. You won't regret using this software to run your event. We needed software that supported multiple users, especially in the weeks leading up to our event. This software exceeded our expectations. What I like best is the ability to utilize the software for all our fundraising events, allowing us to sell all tickets online, as well as track sales, donations, and event data for future years. The system is a bit clunky when it comes to "web design" features and customizing the main page. Unless you are a professional web designer, there are limits to how jazzy you can make your home page with images and colors. If you do a lot of fundraising events to which you need to sell tickets, log donations, and create an auction for bidding this is excellent software and will help exceed your fundraising goals. We are reducing our carbon footprint dramatically by converting virtually all sales and fundraising to the online portal. "School Auction has been very dependable with a high quality of service and training." School Auction is very quick to answer needed questions and to respond to any training needed. We had an issue with they updating the day of our auction. I is definitely possible to do your own auction with School Auction software. We do a mobile auction and it works very well. Our check in and check out is very easy now. We have been able to cut our mobile auction needs and cost to only our own staff and volunteers with the School Auction software and team helping us. "Easy to use Auction Software!" I've been putting on auctions since the 90s when I started out with Architype Software, and then it got bought out and we used a different program for 15 years until we discovered Tofino (now called SchoolAuction.net). It is easy to use, has great tech support, is constantly improving its system based on user feedback. They won me over nearly 8 years ago and I am never going back to any other system. Honestly, they have improved each year so anything I didn't like or found difficult is now gone. It is a great for volunteers and for folks who are new to the auction world because of its ease of working with it and great customer support. SchoolAuction.net helps us make our auction easy for bidders to access - they can checkin with their phones, see our items online, make donations if they can't attend - it is easy to navigate and helps us maximize the money we raise. Tech savvy people can forgot that nonprofit volunteers are often unfamiliar or intimated by web tools. This auction software is designed for all tech abilities, and is intuitive enough that anyone can use it while still being feature-rich. Nothing! The customer service is so amazing and responsive that whenever I've had an issue, they either correct it our offer a useful workaround. Our earlier nonprofit auctions were very cumbersome, and required our volunteers to be very familiar with software systems. Now anyone can handle the system. "Don't attempt an auction without it!" Personalized service and support. Plus, they have print features for EVERYTHING. No need to create a certificate/voucher in the absence of a tangible item at auction. It'd be great to be able to run more reports (like a sold list by item). Also, the ability to sync up with an existing payment/credit card merchant. As far as bookkeeping is concerned, it's a bit of a pain to have to use a new credit card processing system and account for the way they separate fees and such if it's a departure from how you normally operate. Don't attempt an auction without it! "Best Auction Software out there"
I have chaired auctions for our school before using this software and since using this software. Never again would I use anything else. I love the fact that it is web-based, multi-user functionality and works with tablets and phones. The cost is high for a small school like ours. But, I told our PTO that I would not help with the auction unless we use it. We hold an annual auction for our school. The ease of use, the multi-user functionality, the ability to capture payment information before closing out are all benefits of the software. "Easy to use and when we needed help we received fast reponses. " that we could keep track of the items better and that all guest were able to use their cell phones instead of stand in long lines to bid. The online option also allowed for guest who could not be at the event a chance to bid on items. It took a lot of time to enter donors and the items that were donated. We did not have to stay late after the event ended to check people out and get their payment. "School Auctions review for fundraising event"
I like the ability to vault guests credit cards, and the online platform for ticket purachsing. That the software is not compatible with our database (Salesforce) and the check in process is clunky and inefficient, requiring too many fields and no easy way to check in large groups of people among the same party. Make it compatible with more commonly used databases. An easy way to have guests check out following a busy auction/fundraisers with large amounts of people in attendance. Easy to use, fast input system, cloning one year to the next, price was fixed and users felt it was easy. I cannot think of something we dislike. I recommend the first or second plan for a trial first year. I have used schoolauction.net for the past two years, and love them! We use them primarily for our one time event - silent auction fundraiser. We do an online auction prior to an in person event as well. We also used the site for online merchandise sales too. Each year I search the competitors out there, and check with all my PTO friends at other schools and we come to the same conclusion each time: I cannot beat the price and services of schoolauction.net! I love the customer service, and I love that they have roots in building their business from the ground up as parent volunteers just like us, who filled a need based on their own demand! I cannot say enough to recommend this company! "A must have partner for your Auction success"
The software makes everything so much easier, from tracking donations, selling tickets and reconciling everything! There’s really nothing I dislike. Some of the features are easier to use than others. This tool is amazing! I would consider it so you can raise money easier! This is a great tool, it allows you to have everything in one place rather than working out of multiple spreadsheets. It solves the need for a website, payment processor and database all in one. "Easy and quick with great experience for donors"
The system overall was very user-friendly and intuitive--our entire checkin/checkout team was able to learn it very quickly and easily, with little 'pain'. It would be great if it automatically integrated with Salesforce, and if we could have had more options for customization. For example, we didn't automatically have an option for 'gifts in lieu of coming' or many options to editing the Receipts so that they could be personalized. Be prepared on the tail-end to have to important into your CRM. We wanted to give our donors more services, like self-checkout. That was realized. We wanted a system to store CC numbers during events. That was great too. That was probably the most-used benefit. "Perfect for school fundraisers, ticket sales, capital campaigns and email marketing"
Very flexible system for a variety of activities, galas, golf tournaments, yearbook sales, point of sale of items at events, and advance ticket sales for activities. It allows for customizing for every event and including sponsors logo-name on emails, home page and receipts. It has very good post-event auditing and report capabilities. It almost has too many features and does take some time to learn what to do and what not to do. Watch the tutorials; follow the step by step instructions in the help center; If you are having issues, email/contact support and wait. They will provide good advice within an hour. It allows point of sale at events for tickets, raffles tickets, drawings, sellable items, drink tickets, and on-line donations. It has provided a much broader reach by forwarding emails links to families and friends. This was the first year I used the system and overall I was very impressed. Most of the things I wanted it to be able to do were available and it had the tools to do what I was looking for it to do. The customer services seemed very prompt and helpful as well. The graphics of the system are pretty bad and I think could use a facelift - get rid of that owl, etc. on the communications. Part of the reason I like systems like EventBrite so well is that the user interface is easy to use and graphically looks good, especially when communication from these platforms also goes out to donors, etc. I want those communications to look good and I think there's much room for improvement. I also think a name other than SchoolAuction would help branch out to more non-profits and groups other than schools. This was a great option to manage our annual fundraising event. "Shopped around and found this to be the best "
Excellent set of features and functionality without the price-gouging that other software systems employee. I pay my fee, use the software, and the school gets to keep all we earn without having to pay back a percentage. LOVE that. I also am a huge fan of the employees--sales and support. Very friendly and prompt. There are a few features that are somewhat hard to find... burried within other screens. But if you follow the video tutorials or reference the help files, everything is there! I would also like it if the software tagged transactions so they can be coded by the credit card gateway. It would be good to know what event funds are coming in from. Be ready to either use the plug-and-play cc processing option, or shop around for a competitive rate. We were able to cut our processing fees in half by shopping around. We use this to run the annual pledge drive, two auction galas and a summer fair for a local school foundation. Training has always been a nightmare, so this software made it much easier for committess to get up and running quickly. Pretty easy to use. We host an annual fundraiser event every year with a silent, live and Chinese auction. Guests purchase tickets to the event, and can use this software to bid on silent auction items ahead of the actual event. They are able to see the items up for grabs prior to the event. I really liked the software. It worked out well last year, which was our 1st year using it. We have people who purchased tickets for several people and it linked those people together when we tried to check them out at the end of the evening by credit card. It wanted to use the vaulted credit card on file to pay for their items, when in fact each person had their own credit card to use. We use to do the silent auction bid sheets on the computer separate from the Excel worksheet we were using to track the auction winners. This software allowed us to enter the items into one place, track the winners and print out not only the silent auction bid sheets, but other printed items to enhance the event. "Wonderful software! I highly recommend it!" I like the ease of use a lot, I was able to figure out many things on my own. I love the support, response time is unbelievably short. Sometimes they solved my issues, then showed me how they did it. Reporting is pretty good. Self check in and self check out features are so useful, we didn't have line ups at all. I like the options for the look and feel of the website. Online catalog was a huge hit in our school. It also enabled us to create the printed catalog for the live auction easier. Creating gift certificates and signs for silent auction item description and bidding sheets made things so much easier, it was a click of a button. We managed to run three different auctions for the first time even and doubled the profit from last year. The software was a huge part of it. Not so much dislike, but the reporting was the only comment we have. There are so many options to create the tables but not all in the same place. Get it, it will help your school fundraisers tremendously. Instead of wasting you time on doing things manually, use your time to get donations to make more profit. I researched and interviewed other software developers and SchoolAuction was by far the best one. It looks appealing, customer support is awesome, and price is so much lower than of others. I think the pricing system is good in a sense that they don't take percentage of your profit, which all other software developers do. This is the only way non-profit software should work. We are a small charter school and it is very hard for us to get the funds, so when we get it we want to keep it. Benefits are huge, going from incomplete Excel spreadsheets to organized finances. Transparency is important with other PTO members, and software allows that. Save of time is enormous. Ease of use and broad functionality. Easy to train most users within an hour or so. Good for tracking donations and sales. We adapted to non-auction type events. Bit cumbersome for this, but doable. Little cumbersome in sorting - some functions seem hidden. Inability to edit payment type - if you make an error in a check number or amount, for instance, you need to refund the payment and re-enter. This would be fine, except when you run a search on payments by type, it lists all the checks that had previously been entered and returned, and it looks like your balance is higher than actual. The totals are correct, but the individual transactions don't add up. We're using the system to track sales and income from multiple school events. Benefits are the centralized payment for all events. Very powerful as auction software. Would be nice to have other event types so we can create events such as a school registration where we are not selling tickets or receiving bids, and just accepting payments and orders. "SchoolAuction.net has been a great event software for our nonprofit's needs! " SchoolAuction.net has been a great event software for our nonprofit's needs! We use the software for ticket sales and silent auction logistics, as well as running reports after the events. The backend of the site is very user friendly and the available support on event night has come in handy on several occasions. We would highly recommend this service to other nonprofits in need! We especially like the ability to migrate date from a past event to a new event saves us time and gives us a great baseline for Auction Donors and previous guests. The software is a great bang for your buck when it comes to events software -- we are a nonprofit, so any ways we can save help ensure more money goes to our cause and this software is a great price-point for what we need it to accomplish. The timely response to online inquiries has helped us stay on top of any issues and resolve them for event day. "Great customer service eased implementation process"
Questions were always answered promptly, with a great deal of knowledge based instruction videos available. Had some issues with guests signing in on their phones even though account was set up in advance. Seems like double accounts were set up. Part of this would be an issue due to our first time but I think some messages from auction site to guests could be helpful regardless of how new the software is to the organization. Needed mobility of auction FAST with bad weather approaching. Had increase in auction revenue in spite of weather threats. Guests who actually came to event seemed to have a lot of fun with it. "Happy SchoolAuction.net Customer for Three Years and Counting"
The ease of use, youtube tutorials, ticketing, reporting and live auction features are all great. Also, the addition of virtual checkout through email and vaulted cards has changed our gala for the better--more time to socialize and no time in long lines! The ease of use to create an online auction are unparalleled. We actually moved the bulk of our silent auction items to online because we could do so with this software. The customer service is outstanding, always prompt and helpful. I'd like to see new upgrades to catalog display, but with the amount of yearly upgrades, I'm confident that the software will keep getting better. We have solved many problems by using school auction.net. All information from year to year for analysis is at our fingertips. We can have far more auction items online than in a silent auction in person. We reach people who would not attend a live event. The ticketing and tracking patrons is easy and efficient. Reporting is efficient and easy to use, even for non-accountant types. "Makes Running our Auction a Piece of Cake!" Love the ease of tracking items, what buyer they belong to and who donated them. Love how simple tracking ticket sales, seat assignments, and menu choices are too. It takes a little getting used to - not super intuitive/user friendly when trying to figure out how things work. Organization is a huge benefit. Having all info in one place as well. "Great for Donors and Volunteers!" The ability to have multiple users to entering items and one place that everyone can see the what others have done. The ease of going from close of auction to check out in a timely manner made for a very positive donor experience. Not everything is customizable but you can get all the information you need. Keeping track of items (where they are, who solicited them and their status of preparation for the auction). The efficient manner we were able to handle check out was a huge asset to our donor experience. "The support is awesome and the program is easy to use"
Reduction in administrative work, reduction in bookkeeping, reduces re-work, easy for our clients to register, pay etc. "Great End-To-End School Auction Software!" Ease of use, ability to migrate data between years, excellent customer service, ability to manage the entire auction from start to close with one website, the POS feature and transaction management, the friendly front end, the easily navigable back end. Nothing really. The price point is higher than some other school auction software but that is because it contains much more functionality. If you have a very small event then maybe the price point would be too high for you. Otherwise, there is nothing to dislike. I manage a mid-size school auction for my son's school with this software. We have been able to manage the entire auction with this excellent software. SchoolAuction.net is very intuitive and very user friendly. It does everything you need it to do. Our attendees were ready for online registering and paying. The support is very fast and responsive, and the self-help pages are more often than not all you need to answer your question. This is not necessarily a dislike, but because the program does so much, you should be prepared to spend a fair amount of time exploring the site so that you can fully familiarize yourself with all that it can do for you. I would 100% recommend SchoolAuction.net to other schools looking to improve their fundraising. Like most schools, our auction is run by volunteers. Volunteers need an easy program that they can jump right into without a lot of training, and SchoolAuction.net is perfect for that. With the help of SchoolAuction.net, we had our most successful Auction ever. Because we could do so much online faster and easier than in years past, we were able to spend more time on other tasks. I liked the ability to display auction items in one catalog and choose if I want to have the item be public or not. When creating the bid sheets there is no option to personalize them. It would be nice to be able to add a border with our organization's logo or have an option to add photos or symbols. Using school auctions helps with time efficiency during the event. Check out is a lot faster with everything already in a system ready to go. "Excellent help resources and support, and well designed user interface, very easy to use"
Ease of use, rich feature set, and great electronic and human support resources. Inability to customize mail merge to produce true print-quality letters. "Augustana Lutheran Church 2016 Gala and Auction"
SchoolAuction.net's auction software is a great tool for managing your event from start to finish. The support team is super. They are very responsive to your requests for "help." Initially, we had an issue directing the money to the appropriate credit card gateway account with Vanco. School Auctions.net went the extra mile and worked with Vanco to resolve this issue for us and their other Vanco clients. Auctions are a huge undertaking with a myriad of administrative details. Using this software certainly made our work much easier. Ticketing, check-in and checkout processes are great. The ability to easily capture a variety of data is extremely beneficial and assists in planning for future events. Not a dislike per se but more of a recommendation based on my learning curve. Take the time to thoroughly review the software and all it can do. Utilize the training videos. Do not be afraid to ask questions of the support team. The more you understand the program's capabilities, the more use you will get out of it. Train your volunteers in advance of your event and be sure they know the ins and outs of their specific task (ticketing, check-in, checkout, etc.). One addition that would be nice is the ability to add a photo(s) to the description sheets (as you can for the online catalog). I found that few people went online to view the catalog (even though it was well advertised. We have a lot of themed dinners, etc., and I like to add a picture of the prior year event, as an example. The software took our auction to a new level of effectiveness and professionalism. The ability to capture data provides us the tool to analyze it and determine if there are things we can improve upon, etc. Please note that he questions below do not provide a suitable answer for a church. Number of emploiyees doesn't give an adequate picture; Augustana has approximately 900 members. My relationship with the church is that I am a member, not a customer. This auction software is so easy to use! We can almost everything we need with this software including selling tickets to our event, checking guests in online, inputting all our auction items, easily checking guests out at the end of the evening and printing reports to see where we made the most money. The only thing we really dislike is that we cannot print our auction booklet using this software. If you are looking for an auction software that encompasses all you need, SchoolAuction.net is for you! They have great customer support, and they actually respond to emails, their software is easy to navigate and has helped to make our auctions run much smoother. SchoolAuction.net allows our fundraising committee to easily log in and see where we are at with the process and makes our events run smoothly! Prior to using auction.net, all of our volunteer worked on the project individually, requiring one person to patch and edit everything together in one voice ; very time consuming and inefficient. With auction.net, we all work on the project simultaneously with the ability to see other's efforts at the same time. We have struggled with attempting to report year over year financial results. The program is great for singular auctions, and does allow you to merge donor data over to the next auction, but we have been unable to see side-by-side, year over year financial results without exporting the data to work with it. "Lydiksen Elementary School Auction Success!" Ability to catalog items and group them together to create a single auction lot, ability to print auction signs for each item from the system. System was easy to use and customer service was helpful. Would have liked more customization ability. For example, some features we didn't use and I would have liked to turn them off. Tracking auction items, putting the best possible experience forward for our attendees. * We monitor all SchoolAuction.net reviews to prevent fraudulent reviews and keep review quality high. We do not post reviews by company employees or direct competitors. Validated reviews require the user to submit a screenshot of the product containing their user ID, in order to verify a user is an actual user of the product. Hi there! Are you looking to implement a solution like SchoolAuction.net?